Join Ben 10 on his next mission to fight against the evil in the next famous Ben 10 Omnitrix Attack Game. Will you be able to beat all the 9 levels and save the World once again? Let’s find out! In Omnitrix Attack, Ben 10 will transform into different types of Aliens and Fight against Aliens in the 9 Level Game. It is a top rated vertical shooting game based on the famous TV Series Ben 10. To fight against the Evil Aliens, Ben 10 can transform into different Aliens to take advantage of their special powers to kill the enemies. Are you ready to help Ben 10 in attacking the Enemies? Wait, do check out the gameplay below for some tips! Recommended: Play Ben 10 Krakken Attack Game online for free now! Defeat all the enemies of 9 levels to battle evil and win triumphantly! 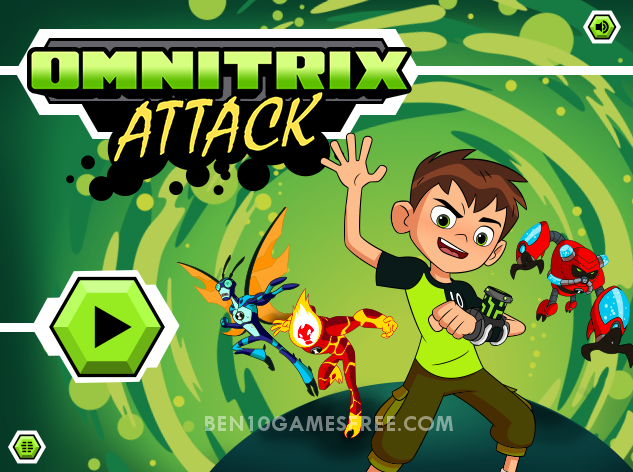 Don’t Forget to give your rating for Ben 10 Omnitrix Attack game and share your tips and tricks to win this game in the comments section below.